This is part of our Fictional range. The deluxe chocolate fireguard is the height of luxury. 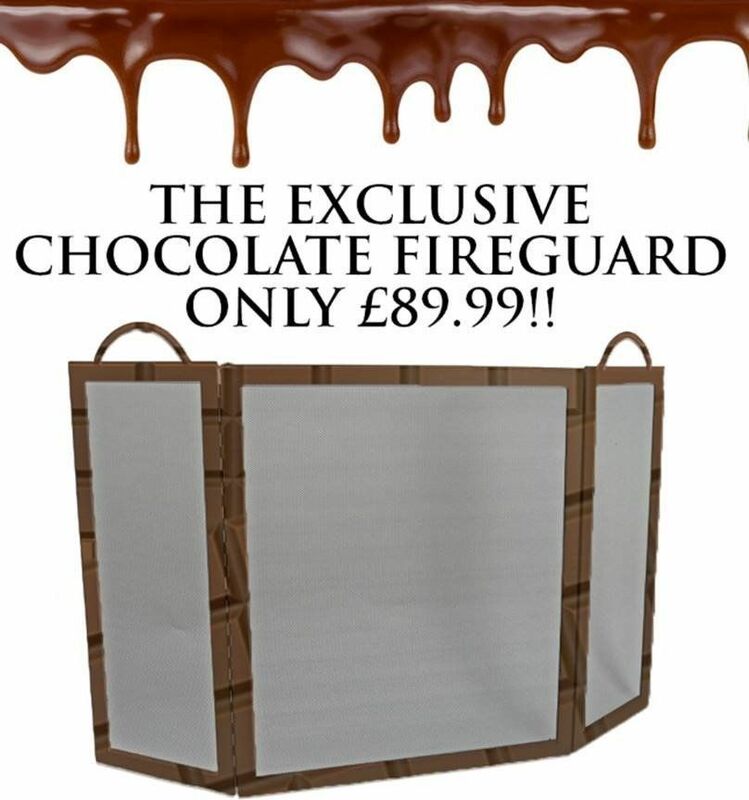 Sit back and relax in front of a roaring fire, secure in the knowledge that as you are relaxing, your deluxe fireguard is slowly but surely melting before your eyes. The key here is distance. Sit far enough away and you are faced with temptation, too close and a sticky, chocolatey mess over your feet. At the optimum distance, and with a suitable container to act as a ‘drip tray’, your ‘chill’ (or warm) in front of the fire can be followed by a liquid chocolate snack. 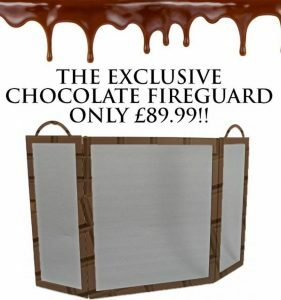 Even better, combine this treat with marshmallows (available to purchase separately) for the ultimate luxury experience!